Getting to Know “The WA WA Way” in 2019! For those that spent time at Camp WA WA Segowea, located on over 450 acres of secluded land in the “5 Towns” area of New Marlborough County in the Berkshire Mountains of Massachusetts, there are a whole bunch of things that can seem like a fairly normal part of a summer vocabulary. 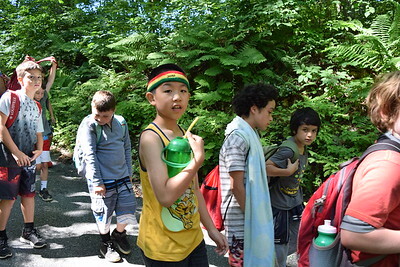 There’s doing “Campers Kapers” (chores) every day, hiking to “Ump” (Umpachene Falls, the nearest waterfall), walking on the log (it floats, and rolls, in the camp lake), and looking forward to the “Gold Rush” (a popular game that involves searching for gold painted rocks) to name just a few. Umpachene Falls is located just over 1 mile from Camp WA WA and is a popular day hike activity! And while camp’s website has lots of information about Camp WA WA’s summer programs, getting to talk with someone close to Camp WA WA about the underlying culture of the camp and about what they understand to be, “the WA WA way” is usually the most helpful route to understanding the answers to that question. When asked, “What do you love most about Camp WA WA?” on their surveys, many campers write in, “EVERYTHING.” For them Camp WA WA is much more than a sleep-away camp, it is the place to meet new friends, see old friends, and build memories that can be indescribable to anyone that wasn’t with them for their time there. 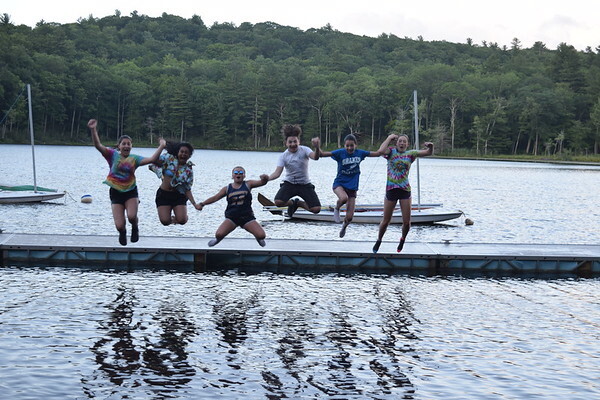 Alumni have said that their take-aways from Camp WA WA are life-changing, and see the impact of being together in community with campers within a similar age range and also from a wide-range of backgrounds as a cornerstone of the program. More than the small details, like what skill classes they chose to take in the afternoon, it is the larger traditions of sleeping in simple cabins to the sounds of crickets (and pirates- but that’s a whole other blog post! ), increasing self-sufficiency skills like how to build a fire, or swim, or row a boat, and the tremendous amount of singing and laughter (sometimes at the same time!) that fill summer weeks that leave a lasting impression. BROOKLYN, NY: January 12, 12pm-3pm, “Schools Out for Summer” Fair at P.S. 321 in Park Slope, Brooklyn, NY. CAPITAL DISTRICT: March 13, 6pm-8pm, “Slingerlands Elementary School Camp Fair” at Slingerlands Elementary School in Delmar, NY. DUTCHESS COUNTY: April 28 & 29 at “Kid Venture” at Dutchess County Community College in Poughkeepsie, NY. DUTCHESS COUNTY: May 15, 9am-11am at the 10th Annual “WA WA Wally Waddle 5K Race and Walk” at Vassar Farms, Poughkeepsie, NY. BERKSHIRES: June 1, 11:30 AM- 3 PM at “Planting Day Spring Open House” at Camp WA WA Segowea in Southfield, MA. At the end of each two week session, camp is closed with a candle light ceremony and the words, “May the light of Segowea stay with you all year long and bring you right back here next summer!” Summer 2019 will be tremendous, and welcoming new families and youth will be one of the biggest highlights.